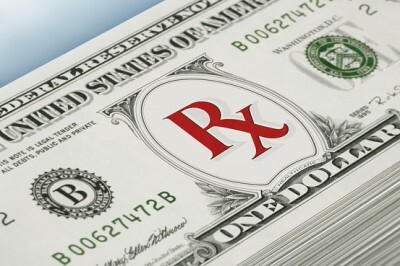 The true “affordability” of Obamacare has been called into question by a new study, which found that average premium costs across the board have skyrocketed from what they were before the unconstitutional tax dubbed “healthcare reform” became law in 2010. The health insurance aggregate site HealthPocket found that, among three different non-smoking age groups, 23, 30 and 63, insurance premiums jumped significantly as a result of the Affordable Care Act (ACA). The worst age category was 23-year-old men, who saw their premiums increase by an average of 78 percent. Similarly, 30-year-old men saw their premiums increase by an astounding 73 percent, while 63-year-old men witnessed a 22.7 percent increase, on average. Women in the younger age groups also saw premium increases, though less severe. According to the report, 23-year-old women will pay, on average, 45 percent more for health insurance under Obamacare, while 30-year-old women will pay 35 percent more. The only age group where women fared worse than men was the 63-year-olds, which saw a nearly 38 percent premium increase compared to pre-Obamacare days. “It’s very eye-opening in terms of the transformation occurring within the individual health insurance market,” stated Kev Coleman, head of research and data at HealthPocket, as quoted by The Washington Times. Obamacare apologists would claim that these higher premiums are offset by government subsidies that help those who otherwise could not afford to pay them. But the data shows that many folks, especially younger ones, don’t even qualify. And as anyone with even a cursory understanding of economics understands, even if a policyholder isn’t directly paying for a subsidy, someone else in the system is. This means that, all subsidies considered, the cost of health insurance under Obamacare is still higher across the board now than it was prior. The only way Obamacare can even work is if healthy younger people agree to purchase overpriced insurance, the premiums of which cover all the unhealthy folks, many of whom have pre-existing health conditions that weren’t covered under the old insurance model. But many of the younger people who need Obamacare in the first place likely couldn’t afford health insurance prior to its implementation, and even more so can’t afford it now due to its significantly higher premium costs. “If you’re expanding the services you’re covering, and you’re increasing the number of less healthy people in your risk pools, that’s going to increase costs,” said Coleman, noting that Obamacare insurance has the added costs associated with 10 “essential health benefits” that are required with every plan. These benefits include things like pediatric, dental and vision care, maternity care and newborn care, even for policyholders who don’t or can’t have children or whose children are already adults. “Attendant to that would be an increase in premiums to be able to appropriately cover those costs,” added Coleman.